The winners of Australia’s most prestigious award for excellence and innovation in urban design were announced at the Hyatt Hotel in Canberra on Tuesday, August 11. The Australia Award for Urban Design highlights the best of design in the built environment and acknowledges the critical role of good urban design in the development of Australia’s towns and cities. This year, there were two major winners and a commendation. Description of the winners after the break. The Paddington water storage reservoir was constructed on a prominent site in the historic heart of Oxford Street from 1866 to 1878. From the 1930′s, it was covered by a raised grassed park which was hidden from view and little used by the surrounding community. Over the past two years, the City of Sydney, together with its collaborative design team of architects, landscape architects, engineers, planners and access consultants has created a unique, surprising, functional and totally engaging public park that has captured the imagination of all those fortunate enough to pass or live nearby. 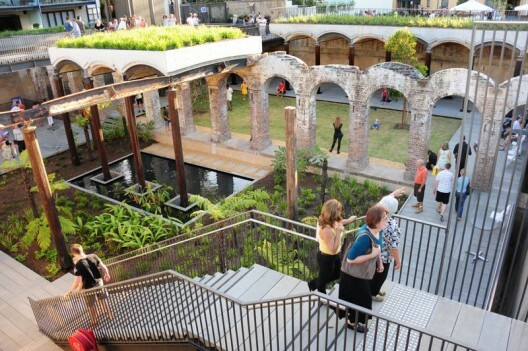 Instead of capping the site and building a new park above, as originally expected, the design team incorporated many of the reinforced ruins of the heritage listed structure and created sunken and elevated gardens using a carefully selected and limited range of contemporary materials with exceptional detailing. The contemporary architectural walkways and roof structures, combined with delightful chambers, pools and outdoor rooms, are brilliantly conceived and executed, and the extensive interpretative elements shed light on this part of Sydney’s early heritage. The success of this small but beautiful project is demonstrated by the interest and excitement expressed on the faces of those visiting the park – the ultimate reward for any project developer and their urban design team. Cities around the world are in the process of redefining their form to deal with issues of climate change and sustainability, and to make them more liveable. Reinforcing public transport networks is a key part of this challenge. This significant piece of research was commissioned by the Victorian Government and undertaken by a team led by the City of Melbourne and supported by a range of specialists. 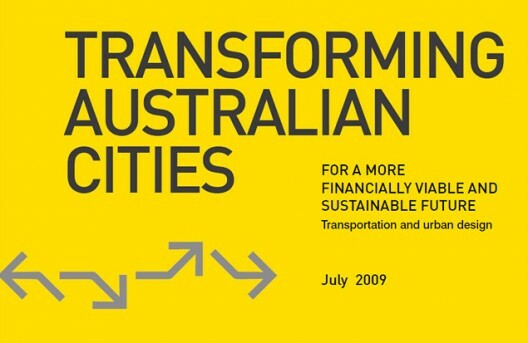 While based on Melbourne case studies, the project provides a growth model for the future form of many cities – growth that can be incremented yet transformational. Using spatial information systems the study presents a well researched argument for strategic residential and employment intensification along our public transport corridors. The study helps visualize these higher density corridors using high quality artist impressions, and shows that the required population growth in our cities can be achieved without changing the essential form and character of our existing attractive neighborhoods. Although these trends are emerging in many cities, this excellent study provides high quality evidence and graphic tools that will help promote this urban form model to all levels of government, to developers and to the wider community. The judges see enormous potential for this work to include the development of an interactive DVD that can be used as an educational and promotional tool throughout the country. 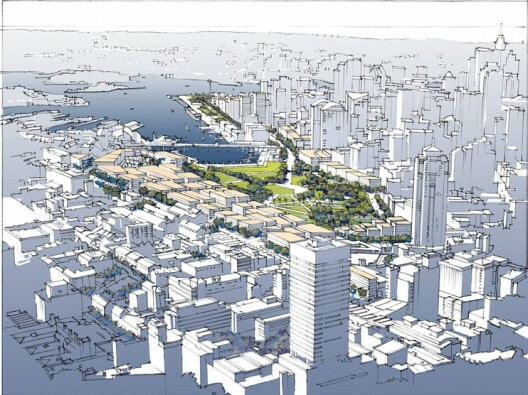 The Vision provides an urban design framework for major projects in the city center and in the villages of Sydney. While comprehensive in its scope, it is a focused and well-structured document that includes 10 strategic directions and 10 urban design ideas supported by over 180 actions. The Vision is exciting and innovative, and incorporated widespread engagement with the community. It successfully resolved complex, strategic planning issues into detailed and well illustrated urban design solutions. The challenge now is to devise a realistic implementation strategy that will bring to fruition the skilled and creative contributions made by a large and diverse urban design team which included landscape architects, planners, architects and transport planners.